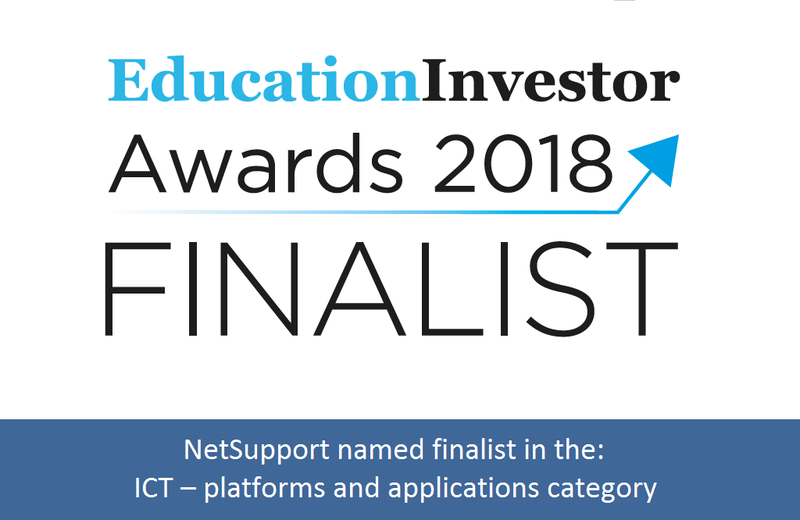 NetSupport named finalist in the 2018 Education Investor Awards! NetSupport is thrilled to be named a finalist in the 2018 Education Investor Awards! The awards are presented to organisations and individuals that have made an outstanding contribution to education in 2017-18, with a view to promoting excellence and recognising innovation in the education sector. NetSupport is a finalist in the “ICT – Platforms and Applications” category with its range of education solutions that includes classroom management and network and IT management with safeguarding tools. The awards dinner will be taking place at the Hilton Park Lane, London on Wednesday 3rd October 2018. For more information, please visit the website.